The Conic Sections Project Saga Continues…. 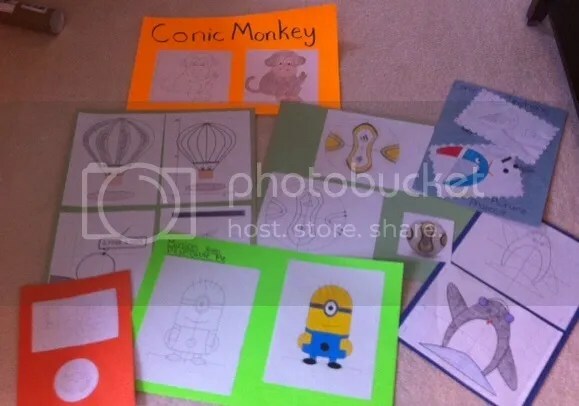 Here on the blog, the conic sections project we use at my HS in Algebra 2 is one of the most popular posts, generating lots of hits and e-mails to me asking for more information. I am just now grading conic sections projects for this year, and want to share some new additions to the project, and a rubric you can use. The projects are all over my living room now, just waiting to be graded. For the newbies to this project – the concept is simple: use equations you have used, specifically conic sections, to draw something. 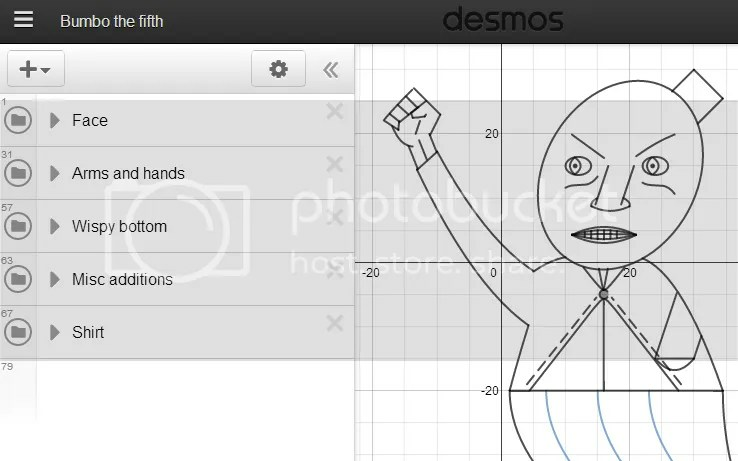 The Desmos calculator is perfect for this task, and students turn in their graph-based picture, then a completed, colored picture. In the past, students printed their equations and submitted them. This year, students instead shared a link to their Desmos product using Edmodo. Also, using folders has improved student organization, making it easier to locate and edit crucial equations. In my conics unit, students learn to solve both linear-conic and conic-conic systems. This year, I asked students to choose two systems from their drawing and verify the intersection points. This served as a personal review of the chapter, and students had an investment in linking the algebra they had learned to their picture. I have received many e-mails from folks asking for guidelines and a rubric for this project, and am happy to share with you a more detailed document. Feel free to use any part of it, and let me know how it works in your classroom!